Bottled water gets bad rap from environmentalists. One of the reasons is that the bottles are made from plastic and only a small percentage of these are recycled. The rest end up in landfill. The company behind Evian and Volvic - Danone, plans to address this by recycling as many plastic water bottles as it uses in the UK. At the moment, the bottles are made with 25% recycled plastic. Danone want its bottles to be made from at least 50% recycled plastic within the next few years. In addition, they plan to recycle one bottle and reuse the plastic for every bottle sold, effectively making the brand 'plastics-neutral' with the intention of becoming truly 'carbon neutral' by 2011. The company believes it will save up to £250,000 a year, which Danone will commit to environmental projects. 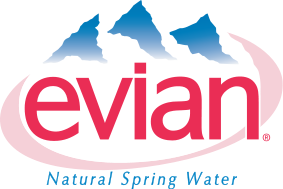 Evian and volvic branded water is readily available from most supermarkets and some local convenience stores. An industry recycling target is welcome as this type of action will contribute to full-cycle processing, with waste elimination the ultimate aim. To avoid any landfilling of plastic bottles is a more challenging task as it requires supermarkets and consumers to fully take part. One option could be collection points in supermarkets with some sort of reward to customers, voucher or store card. Attitudes need to change to allow a rigorous process. But the plastic bottles are not the only environmental hazard. Extracting water and shipping it has a huge impact, regardless of what the bottles are made of and whether or not they are recycled. When fresh clean water runs from our taps, what is the point of bottled water except to make corporations rich? John, incentives such as loyalty points for recycling seem to be the popular way forward. I agree we have to make people WANT to recycle, and rewards do seem to pave the way. Fake Plastic Fish, I agree fully with your thoughts on the whole range of environmental hazards of bottled water. However, the focus of this site is on products which come in packaging that can be easily recycled, reused or composted. Evian and Volvic are popular brands both in the UK and on the continent so it is good to see this progress taking place because it is true that a lot of people still buy bottle water because of perceived convenience. However, I am one of those folk who have switched over to tap water as the choice d'eau and awareness is gradually growing. As FPF said bottled water has wider environmental impacts. However while the market exists, if I had to buy a bottle of water in an emergency and there was a choice of options, I'd definitely plump for one that had recycled packaging over one that didn't, so it's good to know the options that are available. Fake Plastic Fish has made a good point in that we should also promote reusable metal type bottles, especially in sports events. Tennis, including our Andy Murray, is a particular interest and plastic bottles are standard in that sport. If we could influence top sportsmen/women to use metal that would have a definite impact on the viewing public. When public supply is compromised, by accidental breaching of mains, plastic bottles are a good alternative. I do realize for a small percentage of people, or in occasions of temporarily polluted tap water due to works on the system or damage from storms etc, tap water may be of questionable quality, or one could (hopefully very occasionally!) forget to bring a reusable bottle.. so for these cases (& for those who'd buy bottled anyway) this sounds like a good option! Which plastics are used for these bottles, is it possible to recycle them into infinity? As far as I know, other tins, tetrapaks & other packaging aren't paid for.. I hear in Germany there is a financial incentive too.. Ideally, most people would drink tap, indeed!! Or water could be sold from refillable containers like beer? (& people would come with their own bottles?) Or reusable glass bottles? It's water - gosh, easily washable, no? Evian's bottled water tasted better than any other brand, I say it as an active costumer.